Classified as | "Stops Lower Back Pain"
Effects: Very heady with heavier body effects. 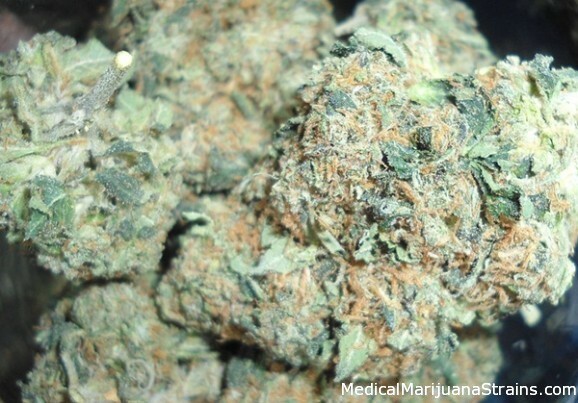 Strong sativa at the beginning and wears into a heavy relaxing body high that can be good for night time sleeping. Looks: Deep forest green – dense colas that are thick with trichomes. 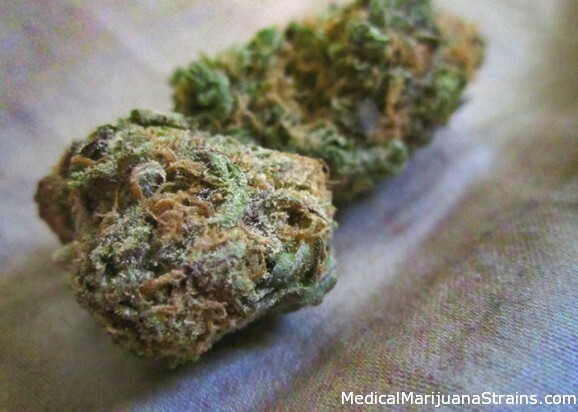 Smell: A little earthy more spicy than sweet like the sativa hybrids. Effects: Powerful- hence the “Punch” in Hawaiian- It has a ‘melty’ effect on the body and calming effect on the brain. The effects are long lasting too making this a favorite among patients with severe chronic pain. Potency: Very strong – not for daytime use if you need to function as this particular phenotype of maui has traditional indica effects. Good Strain For: Migraines-and alleviating chronic pain- one of our patients who suffers from arthritis and MS has stated this particular strain has a “numbing” effect on her body instantly relieving her from its chronic state of pain more effectively than the various liver damaging pills she is prescribed. Other patients regard this strain as a night time med that aids in a relaxed state of body and mind followed by a restful night of sleep. Looks: Dark green highlighted by orange hairs of the frosty fat colas. Smell: Traditional kush aroma with chocolate undertones. Taste: Earthy flavor and it hits a little rough but ‘the more you cough the more you get off’ and you will. 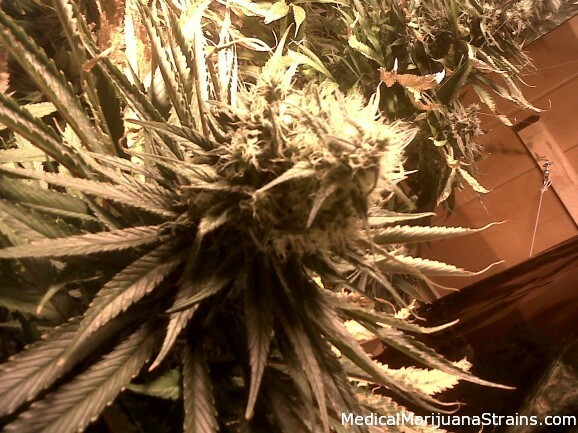 Effects: The high is felt immediately all over and its 1-2 hour hang time this strain aids in maintaining pain. i.e. headaches, menstrual cramps and backaches. Potency: Strong-Nice night time med. 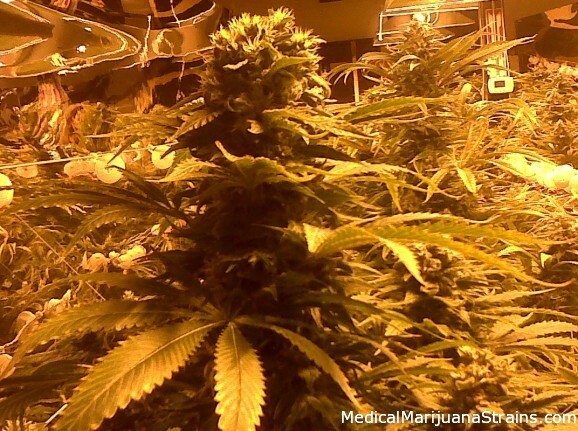 Good Strain For: annorexia, headaches, back pain. Taste: Smokey inhaled and Earthy exhaled, an excellent taste. Effects: An immediate head high, and then it settles into a body high as your mind spaces in a focused etheral state. Great for relaxing, reading a book, creating without a serious approach (because you will get locked into the visuals so intensely that it may take hours to complete any real work). 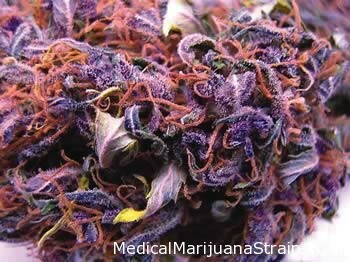 Looks: This bud is definitely some eye candy. Dusted in crystals accompanied by multiple shades of green and orange hairs. Smell: Fresh, very clean smell. Taste: Hint of fruit on the inhale, very skunky and hash like on the exhale. Effects: At first my eyes just kind of got low, but after about 10 minutes I felt straight up stoned. This is definitely an indica/indica dominant. I was riding along in the car to go to the grocery store and I just felt completely relaxed. Very good at taking my back pains away. 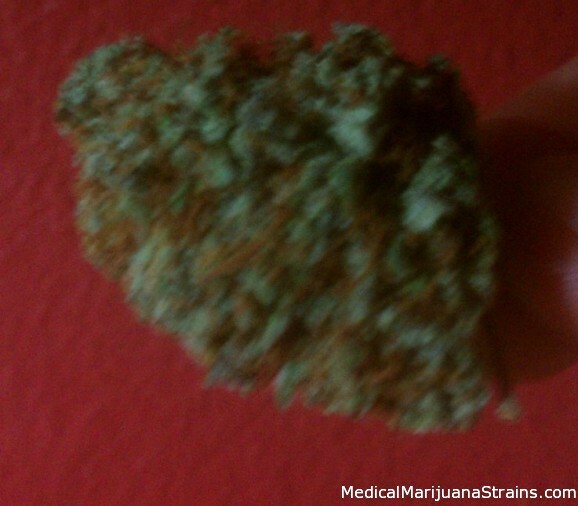 Good Strain For: Headaches, backaches, insomnia. Looks: Dark green, thick orange hairs, with a very frosty bud. Smell: Piney, Skunky, with some sweet tinge. Taste: Salt water taffy, thick thick salty sweetie earthy goodness. Effects: Thick body stone, my body feels fortified, behind my eyes are very heavy, I feel a thick fog around me that reaches my ankles and nothing else matters. Good Strain For: Anxiety, huge pain reliever, back and head stress.